Coconut Grove is Miami’s oldest continuously inhabited neighborhood and certainly the most unique. “The Grove” as the locals call it, is a waterfront village full of charm, lush vegetation and a bohemian vibe. It is a pedestrian friendly community with a central downtown area offering quaint shops, restaurants, bookstores and cafes. 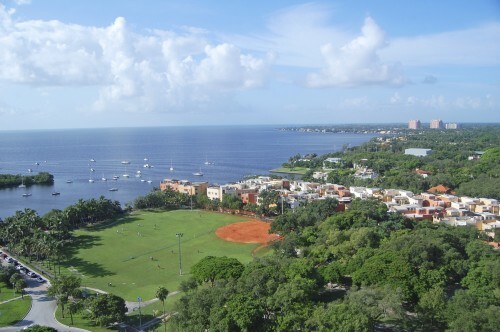 Residents of Coconut Grove enjoy a relaxed, casual lifestyle and take advantage of the many parks, green spaces and waterfront activities that the community has to offer. Coconut Grove is located in the middle of Miami, yet seems miles away from the hustle and bustle of the city. During the winter months, it is buzzing with sailing regattas, arts festivals, outdoor markets and holiday parades. Real estate in Coconut Grove varies from multi-million dollar estates to charming bungalows.